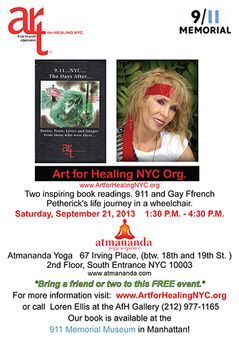 Gay Ffrench joined us at our book reading at Atmananda Yoga. 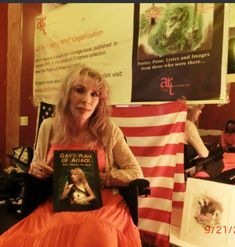 Loren Ellis with "9.11...The Days After..." and Gay Ffrench with her book, "Gay's Plan of Attack." Gay Ffrench reading from 9.11 book. Gay's Plan of Attack became the title of this inspiring book because every time Gay faced an obstacle which wasn't too small in her eyes to tackle it was something that she needed strength and planning before she took the challenge on and had to come out wining and become stronger to survive. How would you react if you woke with the priest giving you your last rights to survive and face the demons who Gay called the doctors? 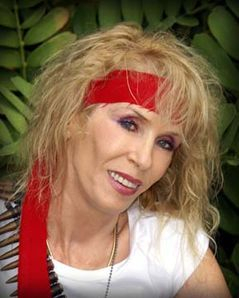 Gay was in a car accident leaving her a quadriplegic at the age of 17. I was a dancer and just started modeling and going to university studying interior decorating. My world was going in the way all young girls would have wanted and the next thing I woke up in hospital and was told I would never walk again. musician from the Late Show with David Letterman.